Jovees Eye Liner Black is a high quality liquid eyeliner that enables you to draw a single stroke of intense, even, waterproof colour that lasts up to 24 hours. The formula dries quickly, remains smudge-proof all day long. 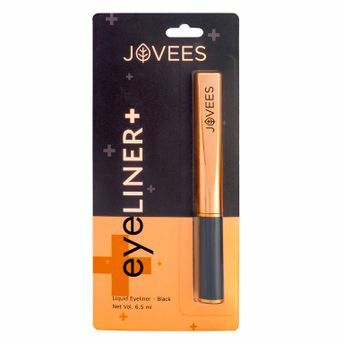 The fine tipped applicator enables you to draw a thin or thick line for a precise flawless look.